We are raising our fair value estimate from $1.90 to $2.47 per share. Clean Seed Capital Group Ltd. (“company”, “Clean Seed”) announced last month that it received a Notice of Allowance from the U.S. Patent and Trademark office for its SMART Seeder™ Intellectual Property. We consider this a significant development for the company as it not only provides patent protection, but also allows the company to target the U.S. planter and seeder markets. The company also secured a purchase order with Rocky Mountain Equipment (TSX: RME) with a retail value of $9 million. We expect the company to deliver up to 14 seeder units over FY2018 and FY2019. 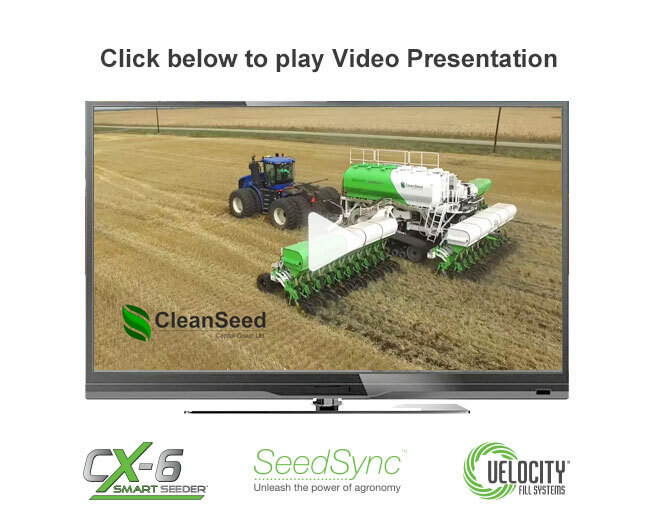 Clean Seed has received working capital financing from Farm Credit Canada (“FCC”) for the current production of CX-6 SMART Seeders. Borrowings will be repayable via sales of Seeders. Clean Seed became the first company enrolled into the Saskatchewan Commercial Innovation Initiative Program, which reduces the company’s provincial tax rate from 12% to 6% for 15 years, commencing at the company’s choosing. Clean Seed’s shares are up 40% since we initiated coverage in November 2016.